The current website landing page is like a modern day sales representative but it works for you 24 hours a day 7 days a week. With the added advantage it does not have the same overheads as a sales representative. 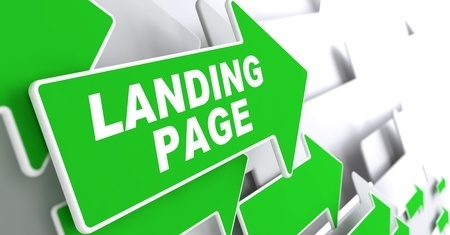 But for the landing page to be effective it must be able to turn visitors into leads. To help the transfer of information to occur from the visitor to your landing page, the page must have the ability to gather information required by the business. This can range from basic information like email address, phone and name, to more complex information required to meet the landing pages objectives. Often companies wonder how many landing pages they should have in use. Hubspot recommends the use of 30 or more landing pages, which are designed specifically for your individual campaigns. A good conversation rate for the landing pages is 20% of visitors to fill in the landing page form. The button on the landing page needs to be obvious for visitors to view and easy to click. The form on the landing page should mirror the value of the offer you are proposing. Therefore there is no point offering something on your website page, which does not reflect the landing page. You also need to clearly explain the offer so there is no confusion. No matter the campaign, every landing page is designed to convert visitors into quality leads so apply best practice and expect to dramatically improve your conversions. If you need any help creating your own landing pages, please contact Lime Results.